A few months ago, Tekashi 6ix9ineentered a guilty plea in his ongoing racketeering case. He's currently awaiting trial, which will take place next year, where it will be determined how much time he will spend in prison if any. In a new report, DJ Akademiks said that the rainbow-haired rapper's team is expecting him to be released in 2020, which would mean they're extremely hopeful that his cooperation with the feds has paid off. Last week, it was reported that Tekashi's former manager, Kifano "Shotti" Jordan, had also entered a guilty plea for two weapons charges related to the case. The latest update has to do with Jensel "Ish" Butler who has pleaded guilty himself. In court documents obtained by Complex, Butler reportedly pleaded guilty to one weapons charge linked to a robbery one year ago in Manhattan. 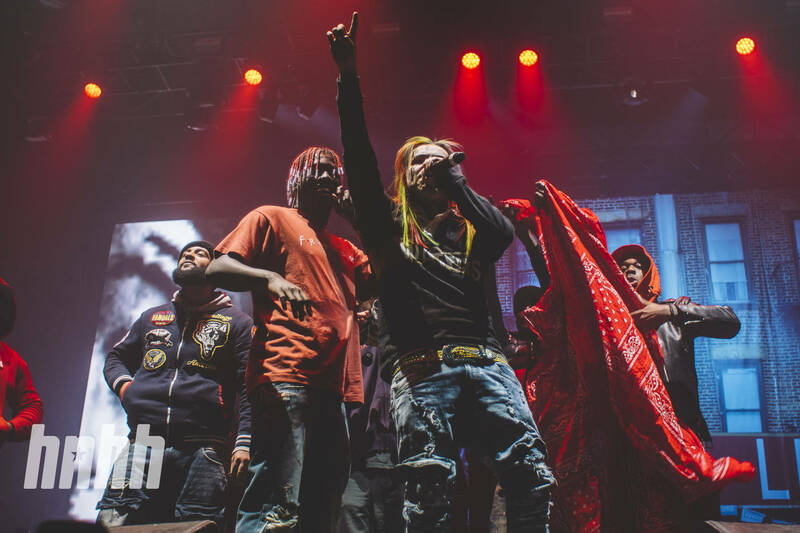 Several members of the Nine Trey Gangsta Blood gang were involved in robbing 6ix9ine's former friend of his backpack, threatening him with weapons. Scum Lord D!zzy's bag was reportedly found after police raided 6ix9ine's apartment in September. The report notes that Butler admitted to "knowingly using and carrying firearms, and in furtherance of such crime did possess firearms, and did aid and abet the use, carrying, and possession of firearms, some of which were brandished." The man's sentencing is currently scheduled for July 18.